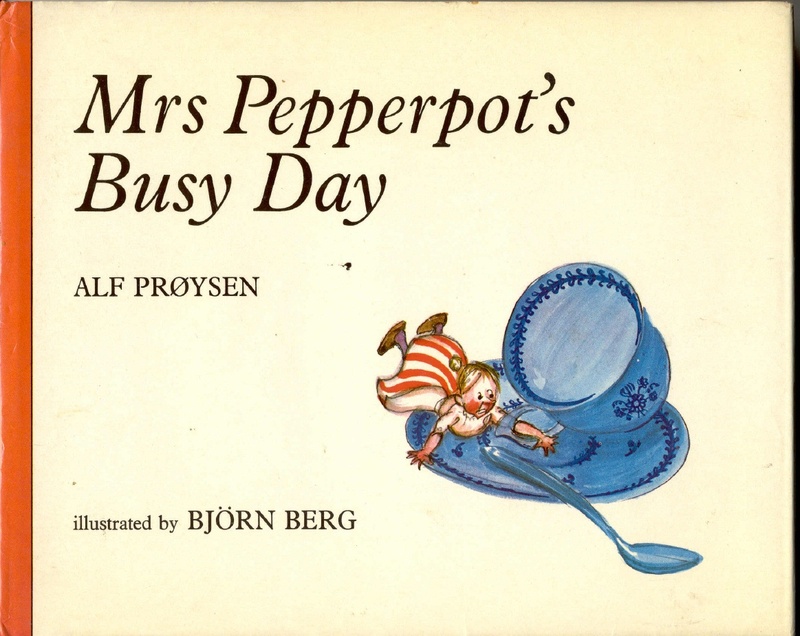 Pancake Day always makes me think of the Mrs Pepperpot books from my childhood and how she managed to make her and her husband 30 pancakes for dinner when she was the size of a pepperpot. As I whisk the batter I remember the quirky illustrations by Bjorn Berg and the flyaway wisps of hair that had escaped from Mrs Pepperpot’s bun. My favourite bit was when her cat licked the plates clean so she didn’t fall in a sink of washing-up water. I’m still not sure why her husband didn’t help her? I’ll let my husband wash-up the pancake pans tonight after I’ve finished making them as the cats’ mouths are still a little mousey from the little present they brought in earlier. If you’re hankering after a copy of Mrs Pepperpot’s Busy Day there are some copies on Amazon with the 70s/80s cover from a few pence. Aw, I loved Mrs Pepperpot. I remember my teacher at infants school reading this to us.